Onay Fadıl Demirciler-н удирдагч Туркийн Киприйн оршин суугчдад зориулан хойд Кипрт Eastern Mediterranean University-г 1979 онд дээд боловсролын технологийн байгууллагаар байгуулж байжээ. 1986 онд тус байгууллага нь улсын их сургууль болон өргөжсөн. Их сургуулийн кампус Famagusta хотод оршдог. Их сургууль нь бакалаврын болон бакалаврын дараах төвшний 141 мэргэжлийн чиглэлийн хөтөлбөрүүдийг санал болгодог. 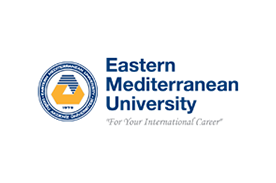 Мөн Eastern Mediterranean University-н зүгээс оюутнуудад зориулан спорт, нийгмийн олон төрлийн үйл ажиллагааг зохион байгуулдаг бөгөөд их сургуулийн санал болгодог академик хөтөлбөр нь физик болон нийгмийн шинжлэх ухааны олон судалгаа шинжилгээний ажлыг багтаадаг. 20000 оюутантай, 1100 мэдлэг туршлагатай багш нараар хамт олноо бүрдүүлсэн тус сургууль нь оюутнууддаа Англи хэлний чанартай сургалт, 2-дохь хэл сурах, оюутан солилцооны хөтөлбөр, спорт, соёл, нийгмийн олон үйл ажиллагаанд оролцох, дэлхийд хүлээн зөвшөөрөгдсөн мэргэжлийн дипломтой төгсөх гээд олон сайхан боломжийг олгон тэднийг сонгосон мэргэжлийнхээ чиглэлээр дэлхийн зах зээлд өрсөлдөхүйц чадвартай мэргэжилтнүүд болгон төгсгөдөг. EMU нь бакалаврын төвшний 100, магистр болон докторын төвшний 81 мэргэжлийн чиглэлийн хөтөлбөрүүдийг оюутнуудад санал болгодог. Их сургууль нь 11 факультет, 5 салбар сургууль, Гадаад хэл, англи хэлний сургуультай. EMU нь их сургуулиудын олон улсын холбоо, Европын их сургуулиудын холбоо, Газар дундын тэнгисийн их сургуулиудын холбоо зэрэг холбоонуудын гишүүн сургуулийн зэрэгцээ олон улсын боловсролын байгууллагуудын магадлан итгэмжлэлийг хүртсэн. Мөн инженерчлэлийн салбарт нэр хүндтэй Инженер, технологийн хорооны магадлан итгэмжлэлийг хүртсэн Хойд Киприйн 5 их сургуулийн нэг бөгөөд EMU-н уран барилгын факультет MİAK-н магадлан итгэмжлэлийг хүртсэн бол бизнес, эдийн засгийн факультет, Аялал жуулчлалын факультет, Технологийн сургуулийг FIBAA-с магадлан итгэмжилсэн байдаг. Үүний зэрэгцээ их сургуулийн Англи хэлний факультет AQAS-р магадлан итгэмжлэгджээ. Их сургуулийн номын сан нь Хойд Киприйн хамгийн том номын сангуудын нэг бөгөөд энд 120000 гаруй ном зохиол байдгийн зэрэгцээ оюутан багш ажилчид номын сангийн хэдэн зуун мэдээллийн өгөгдлийн сангаас ашиглах боломжтой. Номын сан нь оюутнуудын судалгааны ажилд тус болох үүднээс хэрэгцээт ном зохиолыг гадуур олгодог. Номын сангийн физикийн шинжлэх ухааны цуглуулгууд нь бакалаврын төвшний оюутнуудад хамгийн их хэрэгцээтэй байдаг. Accounting and Taxation Applications (Turkish) Associate / A.C.A.A. Anesthesia (Turkish) Associate / A.D.
Banking and Insurance (Turkish) * Associate / A.B.I. Biomedical Equipment Technology (Turkish) Associate / A.B.E.T. Computer Aided Technical Drawing (Turkish) * Associate / A.C.A.T.D. Computer Programming (Turkish) Associate / A.C.P. Computer Programming and Information Technology * Associate / A.C.P. Construction Technology (Turkish) Associate / A.C.T. Culinary Arts (Turkish) Associate / A.A.S. Dialysis (Turkish) Associate / A.D.
Elder Care (Turkish) Associate / A.D.
Electrical and Electronics Technology (Turkish) Associate / A.E.E.T. First And Emergency Aid (Turkish) Associate / A.D.
Justice (Turkish) Associate / A.A.S. Medical Documentation and Office Management (Turkish) Associate / A.D.M.D.O.M. Medical Imaging Techniques (Turkish) Associate / A.D.
Office Management (Turkish) * Associate / A.D.O.M. Oral and Dental Health (Turkish) Associate / A.D.
Physiotherapy (Turkish) Associate / A.D.
Radiotherapy (Turkish) Associate / A.D. Surgery Services (Turkish) Associate / A.D.
Tourism And Hospitality Associate / A.A.S. Accounting and Taxation Applications (Turkish) Technician / H.D.C.A.A. Biomedical Equipment Technology (Turkish) Technician / H.B.E.T. Computer Programming (Turkish) Technician / H.D.C.P. Construction and Technical Drawing Technologies (Turkish) Technician / H.D.C.T.D.T. Electrical and Electronics Technology (Turkish) Technician / H.D.E.E.T. Medical Documentation and Office Management (Turkish) Technician / H.D.M.D.O.M. Animation and Game Design Bachelor / B.A. Banking and Finance Bachelor / B.S. Banking and Insurance Bachelor / B.S. Business Administration (Turkish) Bachelor / B.B.A. Business Administration Bachelor / B.B.A. Civil Engineering (Turkish) Bachelor / B.S. Civil Engineering Bachelor / B.S. Computer Education and Instructional Technology (Turkish) Bachelor / B.S. Computer Engineering (Turkish) Bachelor / B.S. Computer Engineering - Information System Engineering Double Major Bachelor / B.S. Computer Engineering - Software Engineering Double Major Bachelor / B.S. Computer Engineering Bachelor / B.S. Electrical and Electronic Engineering - Information Systems Engineering Double Major Bachelor / B.S. Electrical and Electronic Engineering - Mechatronics Engineering Double Major Bachelor / B.S. Electrical and Electronic Engineering Bachelor / B.S. Elementary School Mathematics Teacher Education (Turkish) Bachelor / B.S. Elementary School Teacher Education (Turkish) Bachelor / B.A. English Language Teaching (Joint Program with Gazi University) * Bachelor / B.A. English Language Teaching Bachelor / B.A. European Studies * Bachelor / B.A. Gastronomy and Culinary Arts (Turkish) Bachelor / B.A. Guidance and Psychological Counseling (Turkish) Bachelor / B.S. Guidance and Psychological Counseling Bachelor / B.S. Health Management (Turkish) Bachelor / B.S. Human Resources Management Bachelor / B.B.A. Industrial Engineering - Business Administration Double Major Bachelor / B.S. Industrial Engineering - Mechanical Engineering Double Major Bachelor / B.S. Industrial Engineering Bachelor / B.S. Information System Engineering - Computer Engineering Double Major Bachelor / B.S. Information Systems Engineering - Electrical and Electronic Engineering Double Major Bachelor / B.S. Information Systems Engineering Bachelor / B.S. Information Technology Bachelor / B.S. Interior Architecture (Turkish) Bachelor / B.Intarch. Interior Architecture Bachelor / B.Int.Arch. International Finance Bachelor / B.S. International Relations Bachelor / B.A. International Trade and Business (Turkish) Bachelor / B.B.A. International Trade and Business Bachelor / B.A. Journalism (Turkish) * Bachelor / B.A. Law (Turkish) Bachelor / LL.B. Management Engineering Bachelor / B.S. Management Information Systems Bachelor / B.B.A. Mathematics and Computer Science Bachelor / B.S. Mechanical Engineering (Joint Program with Gazi University) Bachelor / B.S. Mechanical Engineering - Industrial Engineering Double Major Bachelor / B.S. Mechanical Engineering Bachelor / B.S. Mechatronics Engineering Bachelor / B.S. Medicine (Joint Program with Iran University of Medical Sciences) Bachelor / M.D. Molecular Biology and Genetics Bachelor / B.S. Music Teaching (Turkish) Bachelor / B.A. New Media and Journalism (Turkish) Bachelor / B.A. Nursing (English) Bachelor / B.S. Nursing (Turkish) Bachelor / B.S. Nutrition & Dietetics (Turkish) Bachelor / B.S. Nutrition & Dietetics Bachelor / B.S. Pharmacy (B.Pharm.) Bachelor / B.Pharm. Pharmacy (Pharm.D.) (Joint Program with Kerman University) Bachelor / Pharm.D. Pharmacy (Pharm.D.) Bachelor / Pharm.D. Physiotherapy and Rehabilitation (Turkish) Bachelor / B.S. Physiotherapy and Rehabilitation Bachelor / B.S. Political Science Bachelor / B.A. Pre-School Teacher Education (Turkish) Bachelor / B.A. Psychology (Turkish) Bachelor / B.S. Public Administration Bachelor / B.A. Public Relations and Advertising (Turkish) Bachelor / B.A. Public Relations and Advertising Bachelor / B.A. Radio-Tv and Film Studies (Turkish) Bachelor / B.A. Radio-Tv and Film Studies Bachelor / B.A. Recreation Management * Bachelor / B.S. Secondary School Mathematics Teacher Education (Turkish) * Bachelor / B.S. Social Sciences Teacher Education (Turkish) Bachelor / B.A. Software Engineering - Computer Engineering Double Major Bachelor / B.S. Software Engineering Bachelor / B.S. Special Education Teaching (Turkish) Bachelor / B.A. 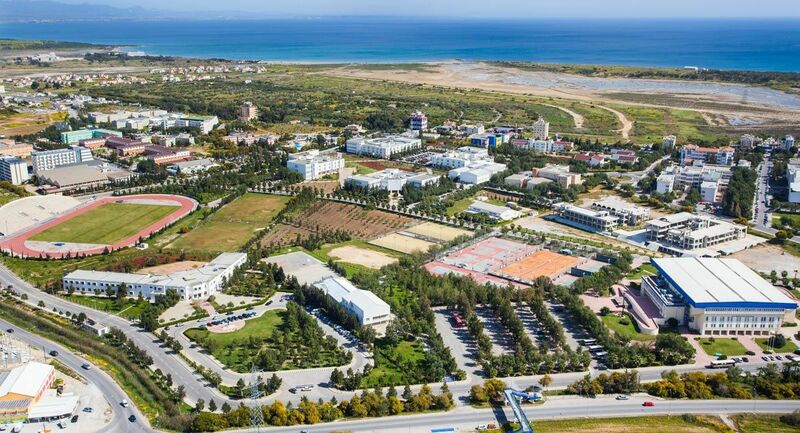 Sports Sciences (Turkish) Bachelor / B.S. Teaching the Mentally Handicapped (Turkish) * Bachelor / B.A. Tourism and Hospitality Management Bachelor / B.S. Translation and Interpretation Bachelor / B.A. Turkish Language and Literature (Turkish) Bachelor / B.A. Turkish Language and Literature Teacher Education (Turkish) * Bachelor / B.A. Turkish Language Teaching Bachelor / B.A. Visual Arts and Visual Communication Design Bachelor / B.A. Applied Mathematics & Computer Science (with Thesis) Master / M.S. Architecture (with Thesis) Master / M.S. Architecture (without Thesis) Master / M.Arch. Banking and Finance (Online with Thesis) Master / M.S. Banking and Finance (Online without Thesis) Master / M.S. Banking and Finance (Turkish without Thesis) Master / M.S. Banking and Finance (with Thesis) Master / M.S. Banking and Finance (without Thesis) Master / M.S. Business Administration (with Thesis) Master / M.B.A.
Business Administration (without Thesis) Master / M.B.A.
Business Management (Turkish with Thesis) Master / M.A. Business Management (Turkish without Thesis) Master / M.A. Chemistry (with Thesis) Master / M.S. Civil Engineering (with Thesis) Master / M.S. Communication and Media Studies (Turkish) (with Thesis) Master / M.A. Communication and Media Studies (with Thesis) Master / M.A. Comparative Legal Systems (without Thesis) (Joint Program with University of Bologna) Master / LL.M. Computer Engineering (with Thesis) Master / M.S. Computer Engineering (without Thesis) Master / M.S. Cultural Heritage Studies (Collaborative Program with METU and Politecnico di Milano) Master / M.A. Curriculm and Instruction (Turkish with Thesis) Master / M.Ed. Developmental Psychology (with Thesis) Master / M.S. Developmental Psychology (without Thesis) Master / M.S. Digital Media and Film (without Thesis) Master / M.A. Early Childhood Education (Turkish with Thesis) Master / M.Ed. Early Childhood Education (Turkish without Thesis) Master / M.Ed. Economics (with Thesis) Master / M.S. Economics (without Thesis) Master / M.S. Educational Administration and Supervision (Turkish with Thesis) Master / M.Ed. Educational Sciences (with Thesis) * Master / M.Ed. Electrical and Electronic Engineering (with Thesis) Master / M.S. Energy Economics and Finance (with Thesis) Master / M.S. Engineering Business Management (with Thesis) (Collaborative Program with University of Warwick) Master / M.S. Engineering Management (without Thesis) Master / M.S. English Language Teaching (with Thesis) Master / M.A. English Language Teaching (without Thesis) Master / M.A. Financial Economics (Turkish without Thesis) Master / M.S. Guidance and Psychological Counseling (Turkish with Thesis) Master / M.A. Hotel Management (Online without Thesis) Master / M.S. Industrial Engineering (with Thesis) Master / M.S. Industrial Engineering (without Thesis) Master / M.S. Information and Communication Technologies in Education (with Thesis) Master / M.S. Information and Communication Technologies in Education (without Thesis) Master / M.S. Information Systems (without Thesis) Master / M.S. Information Technology (without Thesis) Master / M.Tech. Interior Architecture (with Thesis) Master / M.S. Interior Architecture (without Thesis) Master / M.Int.Arc. International Relations (with Thesis) Master / M.A. International Relations (without Thesis) Master / M.A. Law (Turkish with Thesis) Master / LL.M. Managerial Economics (Turkish without Thesis) Master / M.S. Mathematics (with Thesis) Master / M.S. Mechanical Engineering (with Thesis) Master / M.S. Nursing (Turkish with Thesis) Master / M.S. Nutrition and Dietetics (Turkish with Thesis) Master / M.S. Physics (with Thesis) Master / M.S. Physiotherapy and Rehabilitation (Turkish with Thesis) Master / M.S. Supply Chain and Logistics Management (with Thesis) (Collaborative Program with University of Warwick) Master / M.S. Tourism Managemet (Turkish without Thesis) Master / M.S. Tourism Managemet (with Thesis) Master / M.S. Tourism Managemet (without Thesis) Master / M.S. Turkish Language and Literature (Turkish with Thesis) Master / M.A. Urban Design (with Thesis) Master / M.S. Urban Design (without Thesis) Master / M.U.D. Visual Arts and Visual Communication Design (without Thesis) Master / M.A. Applied Mathematics and Computer Science PhD / Ph.D.
Business Administration PhD / Ph.D.
Civil Engineering PhD / Ph.D.
Communication and Media Studies PhD / Ph.D.
Computer Engineering PhD / Ph.D.
Educational Sciences * PhD / Ph.D.
Electrical and Electronic Engineering PhD / Ph.D.
English Language Teaching PhD / Ph.D.
Industrial Engineering PhD / Ph.D.
International Relations PhD / Ph.D. Mechanical Engineering PhD / Ph.D. Nutrition and Dietetics (Turkish) PhD / Ph.D.
Physiotherapy and Rehabilitation (Turkish) PhD / Ph.D.
Tourism Management PhD / Ph.D.